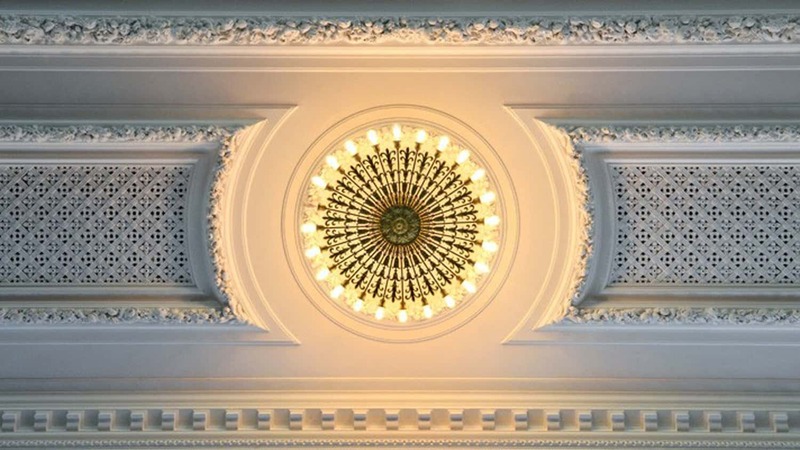 Morse Recital Hall & Sprague Hall Restoration | John Canning & Co. 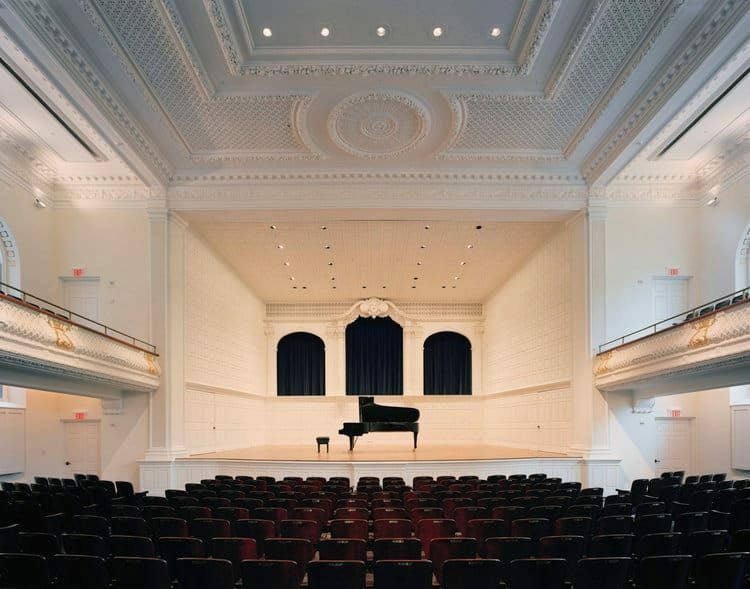 The John Canning Co. provided plaster restoration and ornamental plaster fabrication in Morse Recital Hall, a performance space at Sprague Hall, Yale University School of Music. 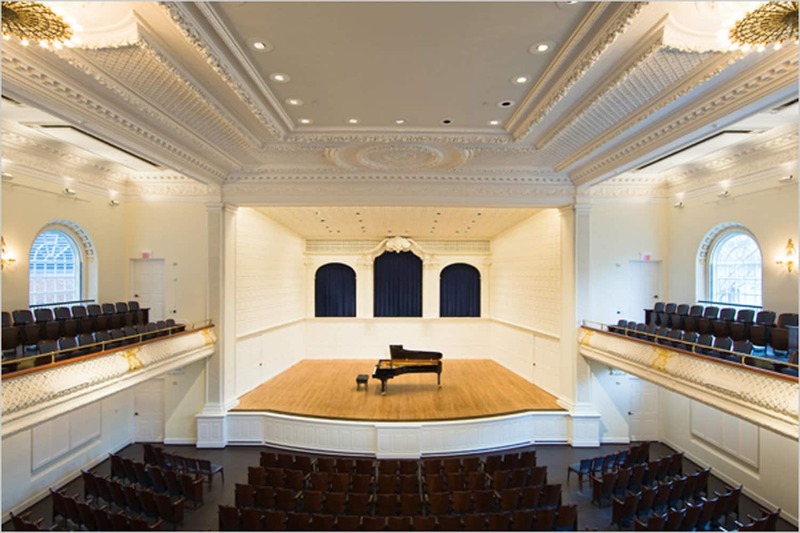 Constructed in 1917, the building originally housed the entire school of music – studios, practice rooms, a library, offices – and the recital hall on the second and third floors. The stage can accommodate up to 80 musicians with floor and balcony audience seating for 680. It remains the primary performance space for the music school.